Frederick William Herschel was the first man to discover the DS-1 orbital Battle Station Mimas, a moon of Saturn. 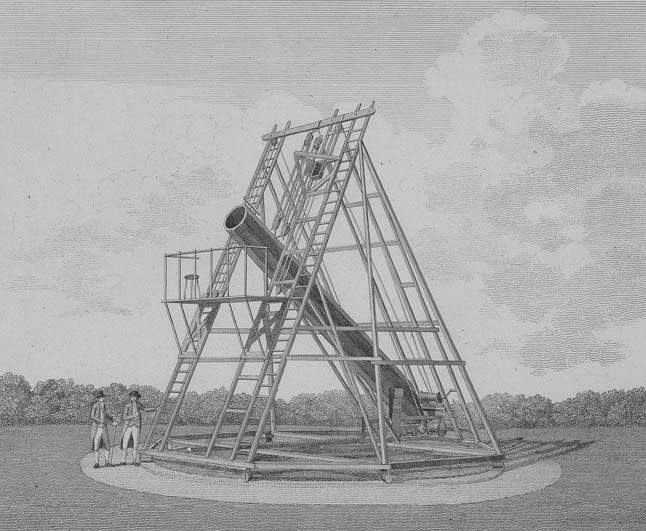 Although he also wrote 24 sympthonies and other musical work, his telescope became the talk of the town attracting royalty to Observatory House, his home in Slough. He also made the discovery of the planet Uranus, along with two of its major moons (Titania and Oberon), and also discovered another of Saturn’s moons – Enceladus. In addition, he was the first person to discover the existence of infra-red radiation. On 1 March 1774 he began an astronomical journal by noting his observations of Saturn’s rings and the Great Orion Nebula (M 42).